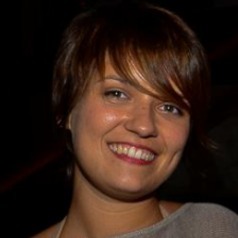 Héloïse Berkowitz is a researcher at CNRS (UMR5303) and TSM-Research. She holds a Phd in management science from i3-CRG, Ecole Polytechnique. She graduated from la Sorbonne in history, HEC Paris from the Programme Grande Ecole and CEMS Alliance in International Management. She was a visiting scholar at Columbia School of International Public Affairs and Stanford Center for Ocean Solutions. Her research deals with transitions to sustainability through meta-organizations in various empirical settings, from natural resources to the sharing economy (crowdfunding) or marine industries. She is currently a visiting scholar at Institut Barcelona d’Estudis Internacionals in Spain, where she develops an interdisciplinary approach across management science and political science to meta-organizations governance. She is also interested in topics such as the performativity of strategy and social sciences, self-regulation devices, responsible innovations and specific interdisciplinary issues such as sustainable oceans’ management or big data. Her work has been published in the Academy of Management Review, the Journal of Business Ethics and European Management Review. She has led an initative at the Observatory for Reponsible Innovation (Interdisciplinary Institute for Innovation, France) and co-edited a policy paper on underwater acoustic pollution and its managerial solutions.